The ArtisticD Cares Plan (ADCP) is not an insurance plan. It is our own in-office membership that qualifies patients for discounts off our normal rates for all dental care services, including cosmetic treatments, implants, and orthodontics. There are no waiting periods, deductibles, or maximums. Patients without dental insurance have a greater tendency to skip regular check-ups. That’s why our dental care plan will always include your bi-annual continuing care appointments. These appointments allow us to see changes in the teeth and gums and to address these concerns quickly and early, resulting in less pain and less need for invasive and expensive treatments in the future. Preventive dentistry helps us detect decay and periodontal issues early, before they become root canals, extractions and gum disease. 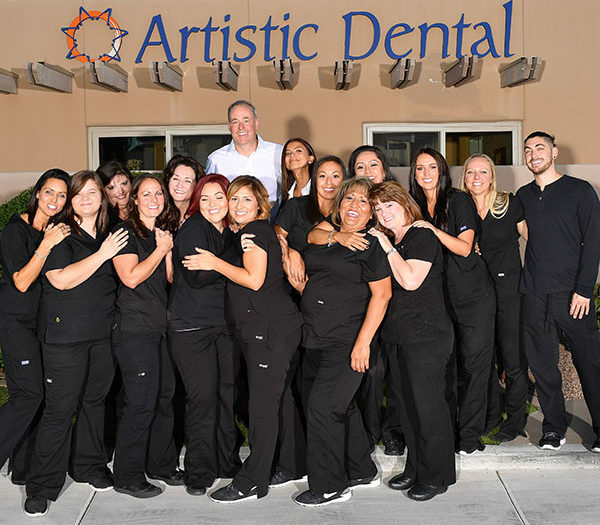 We believe that by working with you to offer affordable dental care, we can make a difference in your dental experience and your overall health and well-being. To learn more, speak with our Front Office team or download our dental care plan brochure. When you smile, we do too!